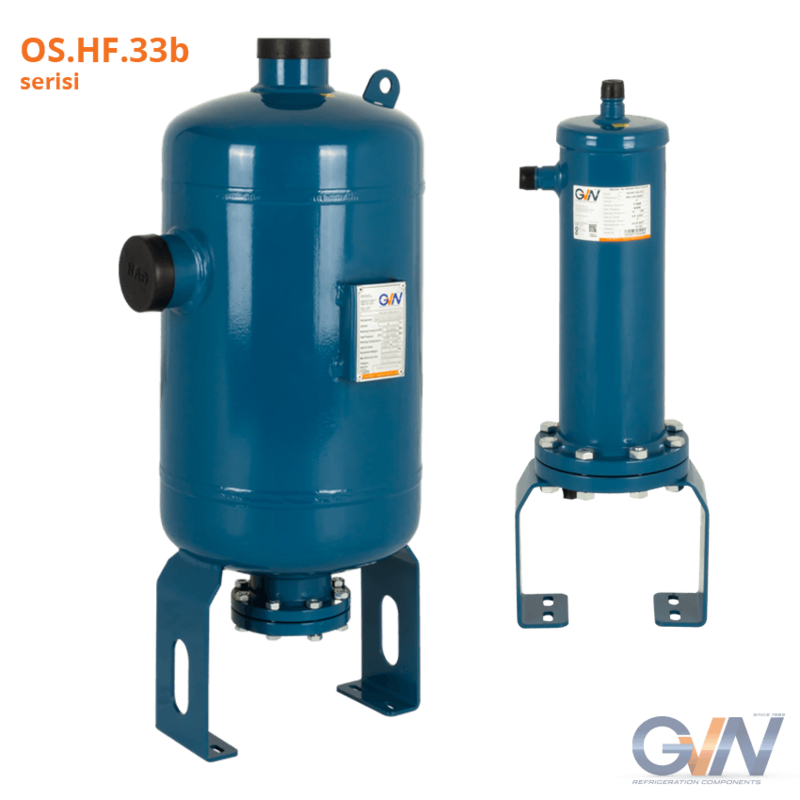 OS.HF The task of the helical oil separators is to separate oil from the discharge refrigerant correctly and ensure oil return to the compressor most effectively. The purpose is to maintain crankcase oil level and increases the efficiency of the system by minimizing the excessive oil circulation. Helical oil separators are designed for low pressure oil managment systems, they can be used in various systems and multiple compressors. The products are designed for use with scroll and piston compressors, they are not recommended for screw or rotary vane compressors. Standard product series are designed for use with HCFC & HFC refrigerant with the relevant oil (please contact us for ammonia system refrigerants). Helical system and stainless filter system in the product are more effective in separating oil than standard oil separators. 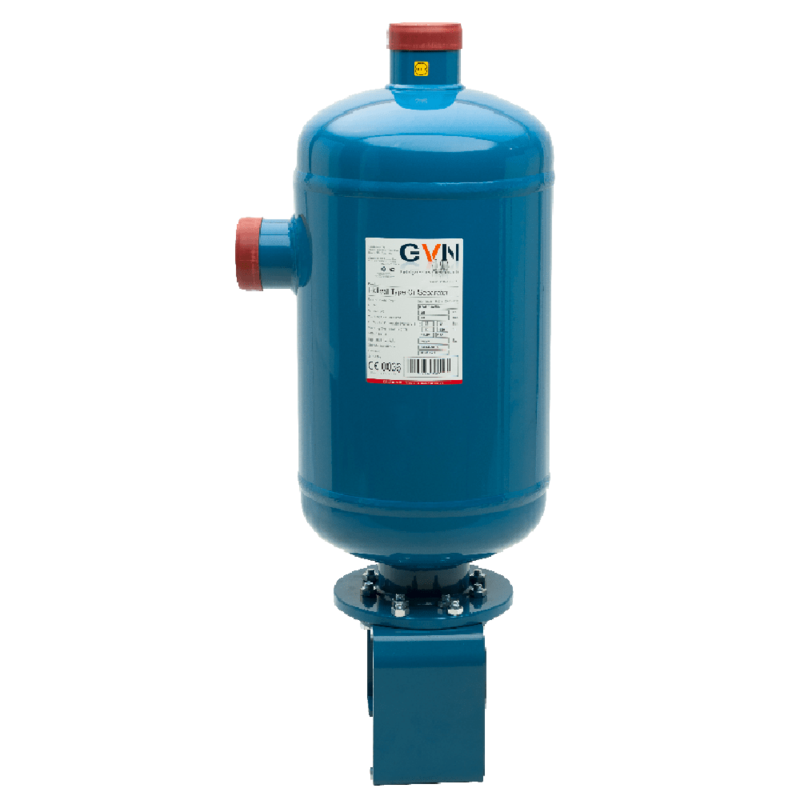 The surface of the oil separator is wrapped with a stainless filter, so that heavier oil particles adhere through helical path, separate from discharge refrigerant and drains. Gas/oil mixture is moved along spiral path by centrifugal force, and oil particles revolve on surface of perimeter and collide with layer. Oil drains from the flter screen to the reservoir at the bottom. Refrigerant passes through the flter and leaves the oil separator from outlet connection. When oil level rises in the reservoirs, flloat ball rises and oil returns to the crankcase by passing through oil return connection. 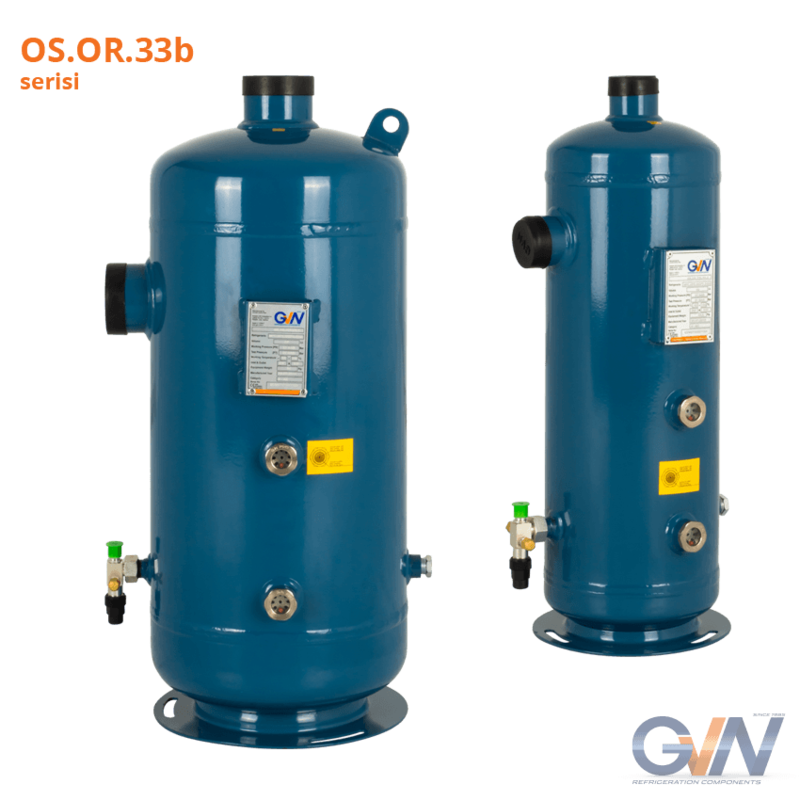 OS.OR The task of the helical oil separators is to separate oil from the discharge refrigerant correctly and ensure oil return to the compressor most effectively. The purpose is maintaining crankcase oil level and increasing the efficiency of the system by minimizing the excessive oil circulation. 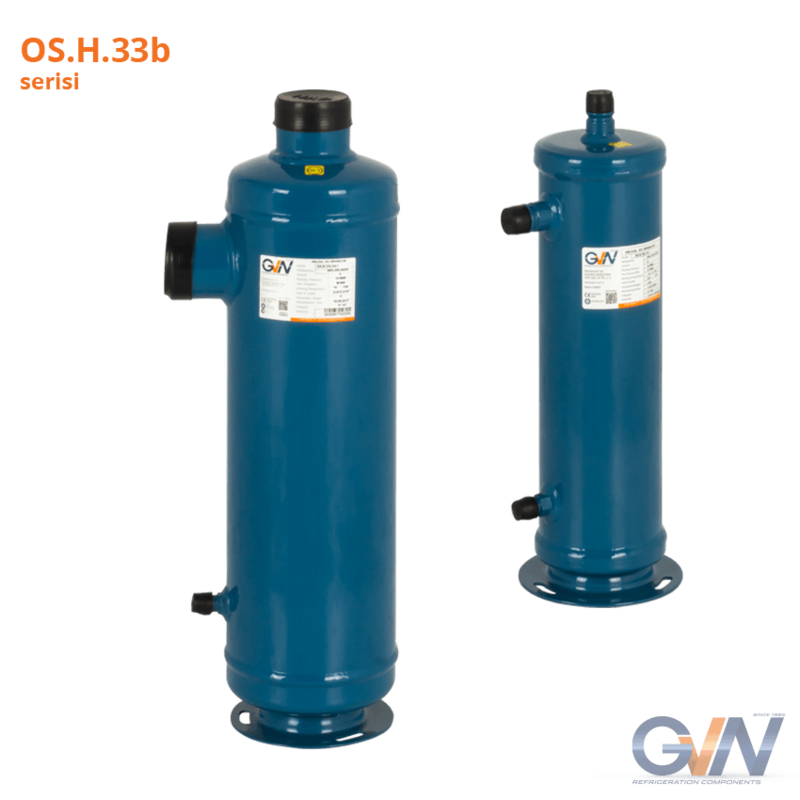 Helical oil separators are designed for high pressure oil management systems, they can be used in various systems and multiple compressors. The products are designed for use with scroll and piston compressors, they are not recommended for screw or rotary vane compressors. 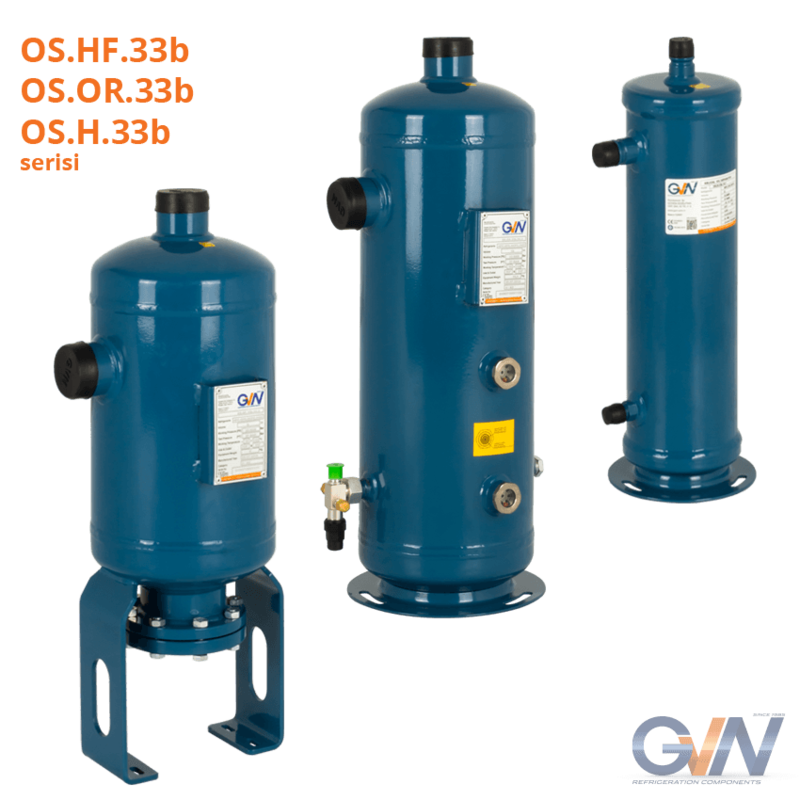 Standard product series are designed for use with HCFC & HFC refrigerant with the relevant oil. (please contact us for ammonia system refrigerant). The surface of the oil separator is wrapped with a stainless filter, so that heavier oil particles adhere through helical path, separate from discharge refrigerant and drain. Gas/oil mixture is moved along spiral path by centrifugal force, and oil particles revolve on surface of perimeter and collide with layer. Separated oil is stocked in a tank placed in bottom part together with directing particles within the system. Flow of oil in desired direction can be ensured using 3/8” rotalock valve on bottom base. There is not a float system inside the product.